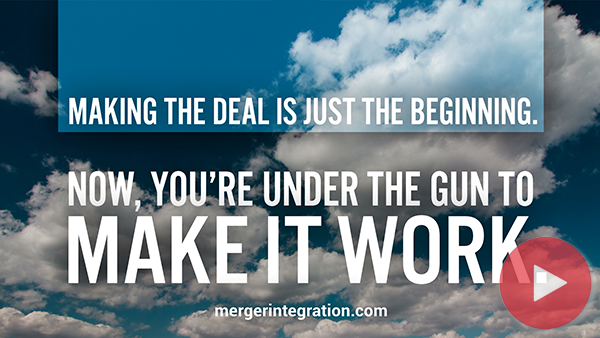 More than 30 years of experience with mergers and acquisitions has taught us some important lessons. For example, here are Ten Value-Accelerating Questions you should ask yourself before beginning the delicate process of combining companies. How will you organize the transition process so that it's fast and focused? How can you engage both sides so that you benefit from your combined knowledge and experience without getting mired down in politics and tradeoffs? Do you have a methodology and tools for launching transition teams, measuring progress, and holding people accountable for hitting targeted objectives?